The following opinion piece was submitted by registered architect and Passivhaus Designer Mark Stephens on August 27th 2014. The software on completion can give conformity results on U-values, renewables, primary energy use and CO2 emissions. 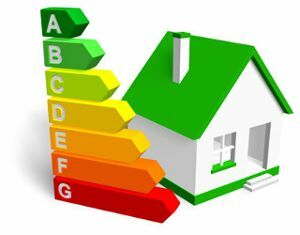 The conformity with the Building Regulations is given in a straightforward green check (tick) or red cross. The software can be used by anyone but it is only a registered (with SEAI) BER Assessor that can issue BER certificates; it is an offence for persons not registered with SEAI as BER assessors to purport to carry out a BER assessment service for the purposes of the Regulations. The purpose of this opinion piece is not to highlight the deficiencies of the DEAP software or its use as the only software available (in Ireland) to ensure conformance. Instead it is trying to highlight a problem concerning certification to ensure compliance as part of S.I.9. It is understood that the Architect may not have the same skill, training and expertise with regard to structural design as a Structural Engineer who is relied upon to produce the “plans, calculations, specifications and particulars” to ensure compliance with the requirements of the Second Schedule of the Building Regulations for the structural integrity of the building. This responsibility continues through to completion when the Structural Engineer prepares an Inspection Plan (in accordance with the “Code of Practice for Inspecting and Certifying Buildings and Works”) and based on this together with the ‘Design’ certificate the Structural Engineer (as Ancillary Certifier) certifies that the elements they designed/specified are in compliance with the requirements of the Second Schedule of the Building Regulations. By comparison if we examine Compliance with Part L, it is now sufficiently complex to require a separate consultant. The Design and Completion certification for Part L can be met by using Ancillary Certificates that are completed by ‘Specialists or unregistered consultants‘ i.e. Registered BER assessors. These certificates already exist so there should be no problem with them being provided by BER assessors. Unfortunately I was rebuked when I requested the BER Assessor to inspect the relevant parts to ensure compliance with Part L; I was informed that this is the Architect’s work but as we have seen this is now a specialist consultancy. Surely in this specialist world and where ensuring Part L compliance is so critical that the persons who are undertaking the calculations to ensure compliance should shoulder some of the responsibility on Completion, through inspections, to ensure that the building does in fact comply? It is not as if the BER assessors do not have the requisite Professional Indemnity Insurance to cover their work; SEAI requires, as mandatory, that each BER Assessor and/or each BER Assessor’s principal takes out professional indemnity insurance with a minimum limit of €1,300,000. This entry was posted in BC(A)R, BCMS, Breg Forum, Bregs Forum, Building Control Amendment, Building Control Amendment 2013, Building Control Ireland, Building regs, Building Regulation, Building Regulations, DECLG, Irish Building Control, Phil Hogan, Priory Hall, Pyrite, RIAI, S.I.80, SI No.9, SI80 on August 28, 2014 by admin.